Yesterday i gave my 1z0-808 exam. I got failed in my Certification with 61%. I am planning to give it again after 2 weeks that is 14 days. I have written down notes and the questions that i remember from the exam. My question is can i expect same questions on my Re-test? Can anyone please help? This is really important to me. CodeRanch has a reputation of helping people, Don't break the chain guys. It's only been 7 hours and most of us were sleeping most of it. If you memorise questions, you will fail. You have to know and understand the listed objectives. You scored 61% on the exam. What were your practise test scores? Sorry to hear that you have failed the exam. Please go through this link, click here -->Failed 1Z0-808 exam! Ram Desai Gupta wrote: I got failed in my Certification with 61%. Sorry to hear you have failed the exam! Ram Desai Gupta wrote: I am planning to give it again after 2 weeks that is 14 days. I have written down notes and the questions that i remember from the exam. My question is can i expect same questions on my Re-test? That's a very bad approach and will guarantee another failure! You can never pass this certification exam by memorization. 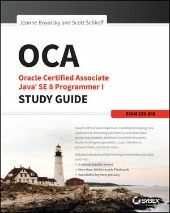 You need a very good and solid understanding of all basic Java and OO concepts to pass the exam, because your questions will be randomly selected from a question bank and you have no clue about which questions you'll get. Ram Desai Gupta wrote: Can anyone please help? This is really important to me. CodeRanch has a reputation of helping people, Don't break the chain guys. Please EaseUp! Don't forget we all answer questions here voluntarily, in our leisure time. So instead of making such a poor post, you could have spent your time much better and for example provide as much information as possible about your preparation for the certification exam. Which resources (study guides) did you use? Did you write lots of code snippets? Did you use an IDE or a text editor? Did you take mock exams? And if you did, what were the mock exam scores on first attempt? Ram Desai Gupta wrote: My question is can i expect same questions on my Re-test? No. Oracle has a large pool of questions. The statistical chances of getting the same questions is really low. How large is it? Has anyone ever got some same questions at the second try so is it always 100% different? are the questions in the second shot complete other or random from a pool? How many questions are in the pool? Please search; somebody else asked a similar question recently. The questions are randomly picked from a large pool and we don&apos;t know whether you can get the same question twice. A few minutes ago, I wrote: Please search; somebody else asked a similar question recently. . . ..
And I see it was you. I think I would do well to merge the two questions. Failed 1Z0-803 with 60%, need some advice.